Posted on August 18, 2013 August 18, 2013 by Debito Arudou Ph.D.
Hi Blog. I’m about to vacation the blog for a few weeks for the summer, but before I do, here’s some food for thought about the debate on discrimination in this part of the world. Contrast the Korea Times article below about racial discrimination in South Korea with any article about racial discrimination in Japan. I see striking parallels, especially given my experience as a naturalized Caucasian Japanese myself. The debate in South Korea seems to be falling into similar mental traps and policy-level blind spots. 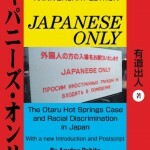 (And in case you’re wondering, no, sorry, I’m not going to engage “Japan Lite” columnist Amy Chavez’s recent ill-considered column on racial discrimination; she essentially makes the argument that we “foreigners” should stop acting like “spoiled children”, and instead essentially be grateful for being discriminated against as minorities in Japan — as it will give us “compassion” for the plight of minorities in our “home countries” (as opposed to insights on how to prevent discrimination happening to our friends and children in Japan). I’m avoiding it for the same reason I didn’t engage columnist Gregory Clark back in 2009 when he claimed that “antiforeigner discrimination is a right for Japanese people” (also because Chavez has a history of writing silly racialized columns like this one in 2009). It just seems that everyone has an opinion about “racism” and “discrimination”, but few have either the training or the insight for how to deal with it in ways that don’t simply reflect their biases arising from their position in society (something CRT calls “structural determinism“). In Chavez’s case, her argument (which she unsophisticatedly tries to apply universally to “we foreigners”), has simply become a self-loathing expression of her White Guilt; I’ll let others such as Black Tokyo or Loco in Yokohama take that issue on with more verve and insight (as Black Tokyo did Clark)). Alex, an Ethiopian by birth, is a naturalized Korean, so he was shocked when a bar in Seoul refused him entry because of the color of his skin. “I went to a bar in Itaewon and they said, ‘Sorry, we don’t want any blacks,’” said the 31-year-old, who asked to be identified only by his first name. “I showed them my I.D. card to show them I am a Korean, but they said no. “Koreans don’t think there is a lot of discrimination in Korea, but there is,” he said. Four years ago Indian professor Bonojit Hussain won a landmark case in a Seoul court for racial abuse. The incident led to the introduction of legislation to ban discrimination based on race or nationality, but the bills have stalled in the National Assembly. But is xenophobia a widespread problem or is it exaggerated based on a few well-publicized incidents? Despite this, there are several high-profile examples of foreigners who have found acceptance as naturalized Koreans, including the Philippines-born lawmaker Jasmine Lee and German-born Lee Charm, the current head of the Korea Tourism Organization (KTO). However, Alex, who is married to a Korean, complains about a lack of acceptance from Koreans, including from his wife’s family. “My wife’s family didn’t accept me at first, now they are saying they are more open, but it is still tough. We see them one maybe two times a year. It is not like family,” he said. But Hyung-il Pai, a professor of Korean history at the University of California, argues in her book, “Constructing ‘Korean’ Origins,” that the idea of a pure Korean race is a myth constructed by Japanese colonial scholars and Korean nationalists. The archaeological record actually shows that Korea’s historical development reflected diverse influences from throughout Northeast Asia. Nonetheless, “Race as the basic unit of analysis in Korean history was the pedestal on which the nation was built. Race or blood was considered the most critical factor in Korean identity formation,” she explained about modern Korean attitudes on history. These views have become accepted wisdom among Koreans. “I think there has only been one race in Korea, and we have a long history ― we were very closed off for a long time,” said Jun Dae-un, a student. “Korea didn’t attack other people, they were always attacked by other countries. That is why Koreans are not very open-minded to foreigners, we think ― ‘they can steal my things, my jobs, my chances,’” he said. Korea’s isolation from most of the rest of the world during the Joseon Kingdom has contributed to the belief that Korea is a cultural and racial homogenous society. “We opened to other countries quite late. It was late compared, for example, to Japan or China. So we are not used to seeing foreigners,” said Charyong, a painter, who wants to be identified only by her first name. “And we kind of believe this concept that says we are Han people, the Han race, like we are all the same blood, we are not mixed race, compared with Japan for example ― Japan is very mixed race. People believe we are all one race, one blood,” she said. “That is an underlying concept ― people are not thinking about it all the time ― but it is the basis for our culture, so when we see foreigners we think they are different. We notice the difference, we notice that they are not the same,” she continued. Some believe that discrimination against foreigners is also based on a mixture of racial and class prejudices. He said that Filipino migrant workers are often subject to verbal and physical abuse and sexual harassment in the workplace because of these attitudes. Other foreigners also spoke of their economic background as a cause for Korean discrimination. Artist Charyong said Koreans don’t think of migrant workers as equals. “People think their (migrants’) country must be worse than Korea, because they are here working, and they work for what is so little money.” She added that Americans have a more positive image because of their help and support during the Korean War and their long-term presence in the country as a result. Kim Doo-nyeon, a law professor at Jungwon Univeristy, blames the local media for, spreading feelings of xenophobia. Charyong added, “When people see something they don’t know it is often their first reaction to defend themselves from it because they don’t know what it is. I’m not surprised at all. Yamato culture is pretty much indebted to Korean cultural heritage since the Yayoi period. I hear that tourists are being ripped off the fare by local taxi drivers quite often. Some ALTs out there are having similar problems like those teaching at Japanese schools. And the most ironic thing is that Koreans v. Koreans(as Miki Dezaki mentions an example of racism): Zainichis Koreans being discriminated against Koreans in their home country. Good point. Could be that it is an attitude that is part of the culture that came from Korea to Japan in the Yayoi period, although I suspect that it is more likely a hang on from Japanese imperialism. If that is true, then the irony that Japanese are despised by some Koreans based on an imperial era ideology of racial superiority and hate that the Japanese introduced to Korea would be immense! Any conflicts are the result of nationalist re branding and over bits of territory. It would be like Scottish lowlanders and highlanders arguing over who controlled Mount Ben Nevis (a rock where no one lives, roughly equidistant oh yes that sounds like the Liancourt Rocks). Yeah, it’s interesting, isn’t it? I remember reading on various occasions, different texts that mentioned the uyoko (the black van variety) and sated that large numbers of socially and economically discriminated zainichi made up their numbers; a form of over compensation, perhaps, for lack of perceived ‘Japaneseness’? I don’t know. But I can see how former ‘getting along nicely, thank you’ imperial subject Koreans living in Japan might have found the sudden and total disenfranchisement following the surrender (and a country that they may have seen as being forced by the US to disenfranchise them) generated a longing for ‘the good old days’ of imperial social hierarchy for some. 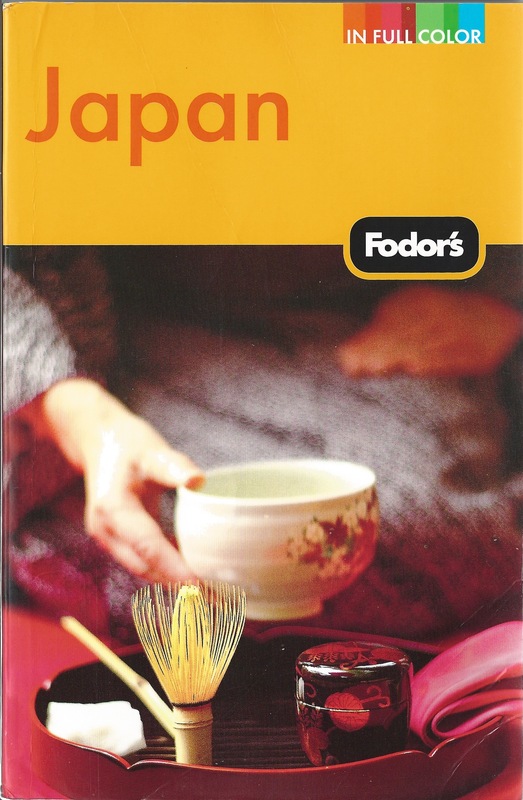 I have had three (to my knowledge) zainichi Korean friends (both, at that time, in their 20’s), and they were way more ‘Japanese’ than Japanese (the girl I knew wore kimono in almost all her free time, and did sado, shodo, and played koto, whilst the guy was the most fastidious for ‘good manners’ in the Japanese sense person I have ever met). Their generation can’t be influenced by rose tinted memories of imperial era inclusivity, but rather, I suspect, trying their very hardest to fit in, given the social and cultural framework that they were born into. I think that they were both trying to prove that they were just as worthy people despite their heritage, but but Japanese standards since that’s the only value system they know (and for this reason- being born outside of Japanese culture- western apologists should know better). I think my zainichi friends ultimately became disenchanted and unfulfilled by their respective efforts, since the Japanese value system that they were striving to excel in comes with the caveat that ‘if your not Japanese, you will merely be regarded as a funny foreigner for trying to be so Japanese’. The third zainichi friend was a girl who claimed she never thought about race issues, and it wasn’t important to her, and had no impact on her life. She voluntarily entered into an arranged marriage with a zainichi chap about 5 years ago. She said that she had to marry another ‘Korean’. Go figure, the whole thing is a cognitive dissonance tornado. Anyway, the point of my ramblings? I think that the black van disenfranchised by defeat zainichi (if they really did exist) may have come to the end of the line; soon the living memory of imperial ‘inclusivity’ of those who chose to remain in Japan after the war, will disappear completely. Maybe younger generations of zainichi don’t have the goal of restoring the social status (such as it was), and now, for the majority, hover around simply fitting in by Japanese social standards. Perhaps this is why we are seeing the net-uyoku becoming more vitriolic, and the venom of the zaitokukai; whereas right wing groups in the past were willing to accept zainichi who shared the same goal of a return to imperial era society, the zaitokukai are obsessed with the ‘sneaky’ zainichi ‘living amongst us’. The zaitokukai are a vile bunch, but this reduction of the grass roots Japanese extreme right to even more exclusive extremes (as I say, even excluding those very zainichi who were *allegedly* the kind of fringe social members the far right recruited) can be seen as the beginning of the end. Where can they go from here, and what can they do? How ever popular their opinions may be amongst the Japanese public, they are an international embarrassment to Japan. Abe was forced to comment on it, and the ‘hate-speech’ debate sputters into life (is still born?) since the Japanese and Abe want increased international respect and responsibility, but are unable to quash their own racist views. Tied in knots due to wanting to have their cake AND eat it. Result? Typically Japanese I suspect. Just like Fukushima, they will be overcome by events; eventually a Korean tourist or business person (maybe a Korean-American) will be beat senseless and make international news, forcing sterner measures against the zaitokukai and hate-speech. Could apply equally to either Japan or Korea. Maybe both Japanese and Koreans would do well to take Amy Chavez’s advice. Thus to “take her advice” as you suggest, we’d have to send Japanese and Koreans out on some “compassionate leave”, then send them back “home”. That’s not very practical. Most people who are majoritarians in just about any country do not not spend a sustained amount of time abroad in the course of their lives. Moreover, since her paradigm is pretty much only directed at majoritarian “foreigners” (basically Whites) who happen to be living in Japan (she hasn’t really worked through theories of nation-state construction, Postmodernism, or Postcolonialism yet), it’s hard to see how it would be applied to non-Whites anyway. This whole blood eugenics race nation stuff is so creepy. I’m not disposed to sympathize with racism or stupidity from wherever it comes from. So what if there is truely international rigourus archaeological scientific excavation of, and research into the Japanese royal tombs ?….Quelle horreur. People such as myself who have a fairly lengthy work history in Korea as well as Japan know full well the nasty racial ‘blood’ theories that abound in Korea. No, they did not come from Imperial Japan although most of the truth about how significant numbers of the Korean elites and intelligentsia were happy to be part of Japan’s Co-Prosperity Sphere because Koreans as well as Japanese were ‘racially superior’ is still censored in Korea. Apart from a few yangban (aristocratic) families whose sons fought the Japanese from China, most of the anti Japanese resistance was from lower class Koreans who were not fooled by the Imperial rhetoric. Korea was ruled for about 900 yrs by the same dynasty, the Joseon Dynasty, and modern as in from the Japanese annexation period Koreans looked back to that as some kind of unique homogeneity although upper class Korean culture was Chinese from the Confucianism to the clothing as well as scholarship and writing, and lower class Korean culture is most likely the original culture. The racial and racist ‘pure blood’ theories come from Korean society’s feelings of inferiority. Their country hid away for centuries under the skirts and protection of China then they had a rude awakening when the Japanese and Europeans came calling. Korean society invented little – even the ondol underfloor heating they claim was used in Etruscan society and Roman society before. Their much vaunted Hangeul script is actually borrowed largely from Sanskrit and this should make sense to Koreans as Buddhism also came from India. However, they hotly deny this and claim King Sejong alone invented it. Yet Hangeul was still not widely taught or used until a few hundred yrs later – Korean society kept to a limited version of kanji which they call hangja as there was no education for most Koreans. Even the independence movement’s promotion of nationhood was largely inspired by western ideals and western people such as missionaries who encouraged ordinary Koreans to think of themselves as a nation. The nation state anyway is a construct of 19th century Europe, no matter how much Koreans for much of the 2oth and now the 21st century have insisted they were always ‘one people’. History makes a joke of this anyway, the 3 Kingdoms’ people were not what we could identify as ‘Korean’ in one sense today. They were different ethnic groups from Central Asia, from Mongolia and from what is now called generally China. They mixed with the indigenous Korean population thousands of yrs ago, there is no such thing as Korean race just like there is no such thing as Japanese race. In Japan the Polynesian features of many Japanese contrast with the more East Asian features, in Korea the numerous ethnicities also show differences and in fact when you follow the haplogroups and their conclusions, Tibetans have a lot in common with Koreans gene wise and facially in a number of people. The military dictatorship after WW2 promoted this racial purity nonsense and it is very difficult for Koreans to shake off, in part because both the conservatives and left wingers subscribe to it. Most Korean left wingers are disgraceful in their uber nationalism and are not that much better than right wing groups in Japan. I don’t think Korea will change much in those respects as the younger generation are also very nationalistic and many choose the simplistic lies over the complex realities. — This isn’t a blog entry about Korea and its inventiveness (rather about discrimination and social hierarchies), so I only tentatively approve this with the hope that it doesn’t get into a huge debate about the merits of Korean society. If commenters do, then please relate it back to the issues of discrimination in society or it won’t be approved. This isn’t very surprising. Both North and South Korea were more or less modeled after Imperial Japan. The whole idea about being part of the “clean” and “pure” homogenous race in a “family state” guided by a benevolent leader (the Emperor or the Kims) was propaganda made by the Imperial Japan. The entire notion of a “nation” like Japan and Korea didn’t even exist before the Western powers started to knock on the East Asian doors. There was no unified sense of a “Japanese” or “Korean” people, people were divided and belonged into hundreds of little clans back then. The leaders of Imperial Japan knew that the way to unify people was through nationalism and propaganda. At first, when they “annexed” Korea, they figured that oppressing them wasn’t very successful, so they’ve decided to encourage Korean nationalism instead. And the ultra-nationalism that you see in Korea (and in some ways, Japan) is basically the leftovers of that. Unfortunately, Korea encourages Korean nationalism in Koreans living abroad. So some of the Zainichi Koreans are pretty nationalistic. They refuse to integrate into the Japanese society, they refuse to become “Japanese”, which would actually benefit them, even though they were born and raised in Japan and have settled in Japan. So I believe Zaitokukai is pretty much the backlash of that. It also probably has to do with the recent successes of South Korea. @Bitter Valley (#6) Exactly. One of the most horrifying aspects of living in Japan (or South Korea or China, I suppose?) is constantly being confronted with all this dark, evil, non-scientific gobbledygook about blood, race, and “heritage”. There should really be no acceptance for any of this after the horrors brought over the world by Nazi ideology. It really makes one question exactly how much sympathy there is in the majority of East Asian people and especially Japanese for the Nazis. Ignorance is no excuse. If you still believe this stuff (and it starts out with seemingly innocent things as judging people by blood types), you are either lead by evil thoughts or dangerously ignorant. “UN Special Rapporteur Mutuma Ruteere alerted South Korean authorities about the presence of serious racism in the nation, asking them to address the problem. In a news conference in Seoul on Monday, Ruteere said that it is pointless to compare South Korea with other countries in terms of racism, but there are serious cases of racism in the country. Wrapping up his week-long research on racism in South Korea, the UN special rapporteur noted that the nation has made significant progress in reducing racism and xenophobia in light of its long history of racial and cultural homogeneity. He, however, raised issues with the limited notion of multiculturalism in South Korea as he pointed out that South Korea’s policy on multicultural families is restricted to foreign women married to Korean men. Noting that a marriage between two immigrants is not considered a “multicultural family,” he said relevant policies are limitedly carried out in South Korea and various Korean media spread negative images of those families. Ruteere arrived in Korea on September 29 to inspect the country’s racism, racial discrimination and xenophobia. He plans to submit a report on the inspection results to the U.N. Human Rights Council next year. Debito, have you ever seen Japan (like NHK) having a televised multicultural wedding like KBS does? I have more articles like these but I think you get the idea. Debito, throughout your experience living in Japan, have you ever seen the Japanese government doing something what the Korean government did like these above article shows and my experiences in South Korea?? If they didn’t, then I think you and I know the difference between Japan and South Korea when it comes to diversity and multiculturalism. South Korea’s government actually embrace diversity/multiculturalism when Japan’s govt doesn’t really do that, do they. — Thanks for these. I’m not going to make comparisons between Japan and South Korea quite yet (I haven’t studied the Korean example enough to draw conclusions), but the above links indicate some positive steps. We see some of these in Japan too, but Japan can do better, as the United Nations keeps pointing out. “Seoul Global Center(SGC), which is run by the Seoul Metropolitan Government, is a comprehensive support center for foreign residents in Seoul. SGC is a one-stop service center for offering daily living, business activities, administrative services, various educational courses and international exchange events. Also provide basic to specialize counseling regarding legal, labor, tax and real estate related issues to help expats settle in Seoul. Please experience our services for your convenience and enjoyment of life in Seoul. My question to you: Does the Japanese government have anything similar to the Global Center South Korea set up??? — I know of the Sapporo International Communication Plaza, for one. @Mdo7 I think what really stands out in comparison to similar Japanese institutions is the wording of these quotes. Much more easy-going and less authoritative. Also, I think it is interesting that the focus is on “life in Seoul”, rather than “Korean culture”. While in Japan, you’d first be taught how to behave and respect “Japanese culture” in order to be constantly awestruck and not inconvenience the locals, it seems that these examples are more concerned with practical things limited to foreign newcomers to a specific city, without conjuring up an image of a “towering” culture which you have to bow down to. When I was in Busan, there were a lot of foreigners (mostly Russian and Korean-Russian) living in that area. Again I didn’t see Busan police stopping a Russian person for his IDs nor a sign forbidding foreigners. Ever heard of any stories of NJs becoming a police officer in Japan?? If it never happen, then I think South Korea is a bit ahead of Japan in recruiting foreigners into the police force. 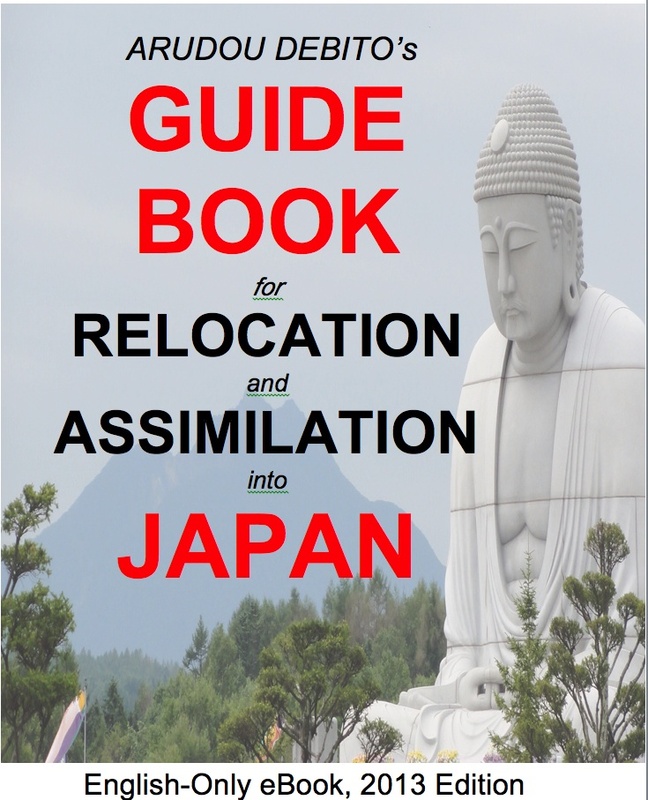 You said in the opening paragraph, “there’s none for foreign residents living in Tokyo, Osaka, or elsewhere?”. Not what I said. I said, “for one”. There are others, but I know them less well because I primarily lived in Sapporo, so I just mentioned it. Others are free to mention their local helpful neighborhood NJ station. Or you can get on Google and see for yourself. I appreciate your reportage on the situation in South Korea and your attempt to compare it with Japan. Just don’t put words in my mouth, thanks. Too many other people do that. Back on topic. Nice try, Korea Tourism Board. You sure have posted lots of positive links for somebody who only spent a month there on a vacation. Unfortunately for your goal, most of us folks here who share information about how awful Japan is doing in the area of discrimination against foreigners know that Korea is almost as bad. I think it’s a suspicious technique to begin with “I’ll not denied there is racism and discrimination in South Korea” and post the UN complaint to show your “neutrality” but then attempt to squash and reverse your intro totally with 22 POSITIVE links which basically claim that racism and discrimination in Korea is not a problem. Discrimination against foreigners is a BIG problem in Korea, regardless of your attempt to convince us otherwise. 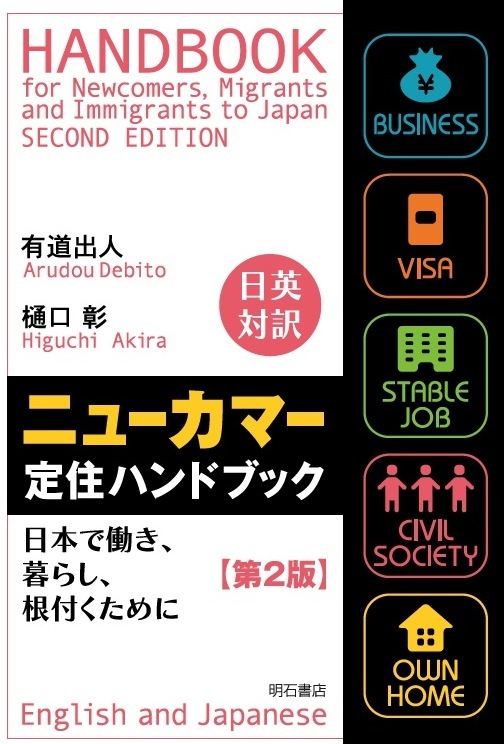 Perhaps you (or your bosses) thought that since Debito posters are pissed at the racial discrimination in Japan, that this would be a perfect place to whitewash Korea’s racist culture? Listen pal, we are not against Japan. We are against Racism, wherever it occurs. Japan, Korea, wherever. We simply focus our attention on improving Japan because that’s where most of us posters here live or lived. Please, don’t think that a “one month vacation in Korea” and a bunch of positive links can rebut the recent U.N. findings about Racism in Korea. PS Debito, you might want to check the IP(s) those strangely-positive incongruent-with-realty posts came from (http://www.infobyip.com/ipwhois.php) because I suspect Korea origination. And I would say the same thing about anybody posting such a cheery picture of any country. Any person who can’t notice both the good AND the bad of any country is either an blind-idiot or a malicious-liar, and most of us Debito readers are not easily fooled by either type. — IP address is out of the United States. @Anonymous: I understand, I said I didn’t denied there’s racism in South Korea. But I’ve noticed a huge differences between South Korea and Japan when it comes to multi-culturalism and reception of foreigners. If you look at my link the government of South Korea has helped foreigners living in South Korea settled in. I don’t have anything against Japan, but I’m just giving you my experience from what I saw in South Korea. I’ve been to Itaewon in Seoul (where most of the foreigner lived) and it looks peaceful and a lot of people seem to get along. I don’t want to argue with you, but from looking at how South Korean government seem to embrace diversity/multiculturalism and helping foreigners and multi-cultural families settled in. Again, I’m just basing this on my experience, you don’t have to believe me, but beside the UN report, stay away from the Japan times article on South Korea’s racism problem. OK, we just don’t believe cheery articles published on Government sites and Government Funded Tourism Board sites. That is all. Peace. AnonymousOG on “Gaikokujin Appetizer Charge” in Osaka Dotonbori restaurant? Debito.org investigates.